Makai Brewing Company opened at the end of 2017 “toward the sea” in Ocean Isle Beach. 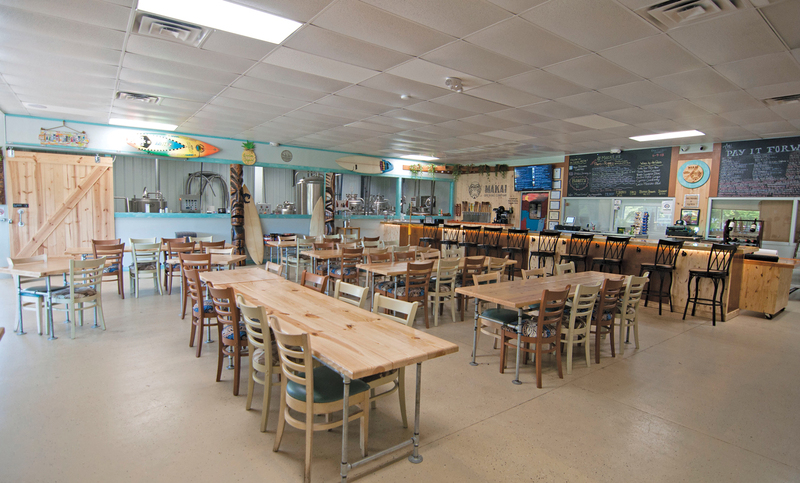 Merging the spirit of the Hawaiian Islands with the Carolina coast, you will find beers brewed with tropical fruits or Kona coffee beans and served by friendly staff in their open and airy tap room. Makai also serves wines by the glass and rotating guest taps from Wilmington breweries, including a non-alcoholic Kombucha. Enjoy a pint or flight at one of their handcrafted tables or at the long bar strewn with Hawaiian postcards, then take a Crowler for the beach! Stay tuned for many fun events planned throughout the year.